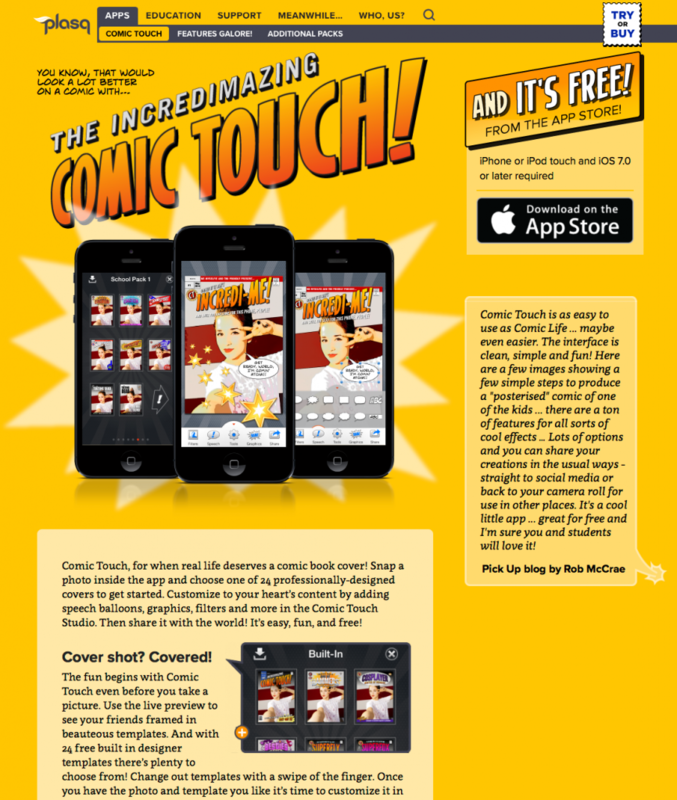 After creating the UX and UI for Comic Touch, plasq’s spiffy comic book cover creation app, I had a pretty good idea about who the company was and what it stood for. So when they asked me to revitalize and refocus the company’s website, I knew immediately what it should say: fun. 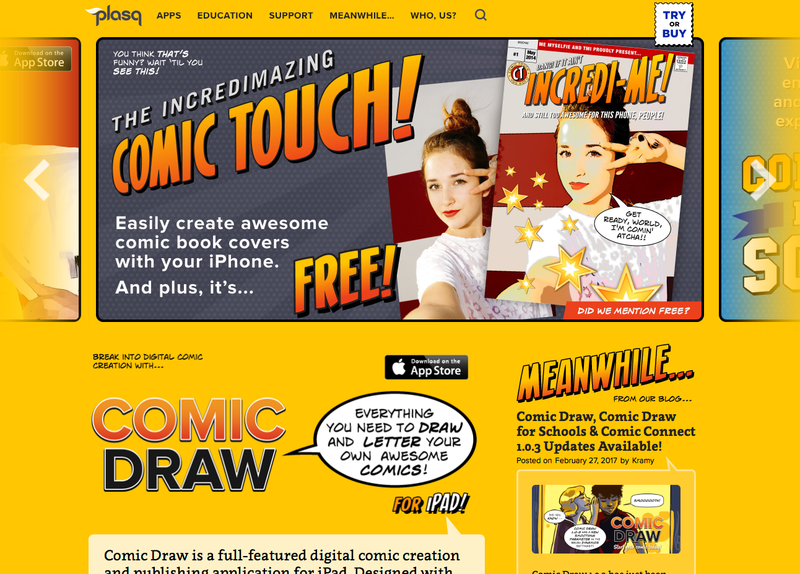 Like a comic book, but with scroll bars. 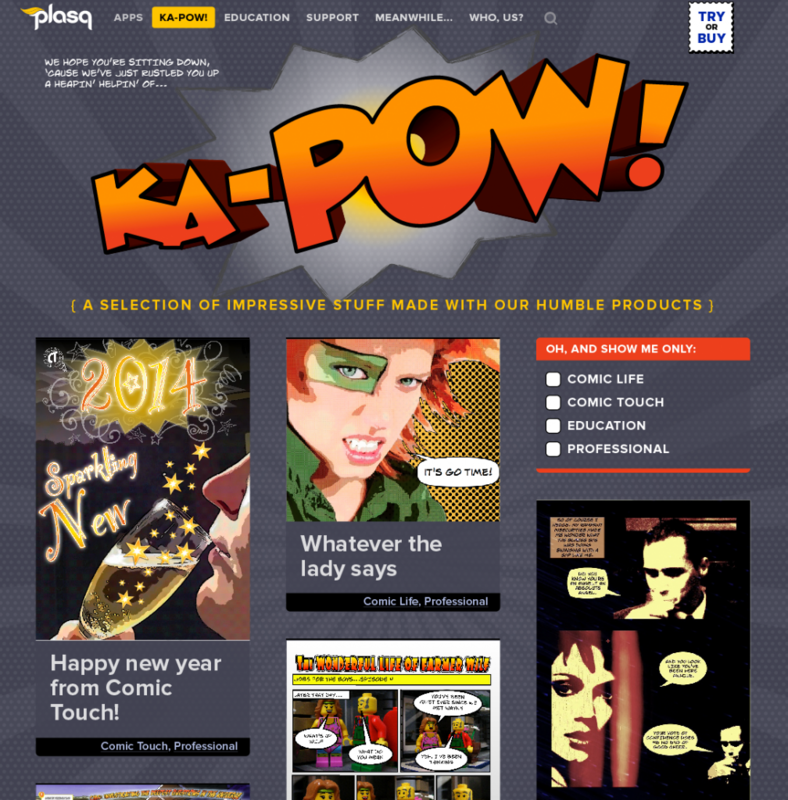 Working with plasq’s onsite developer, I created a bright, sunny and light-hearted UI, steeped in the visual language of classic comic books. 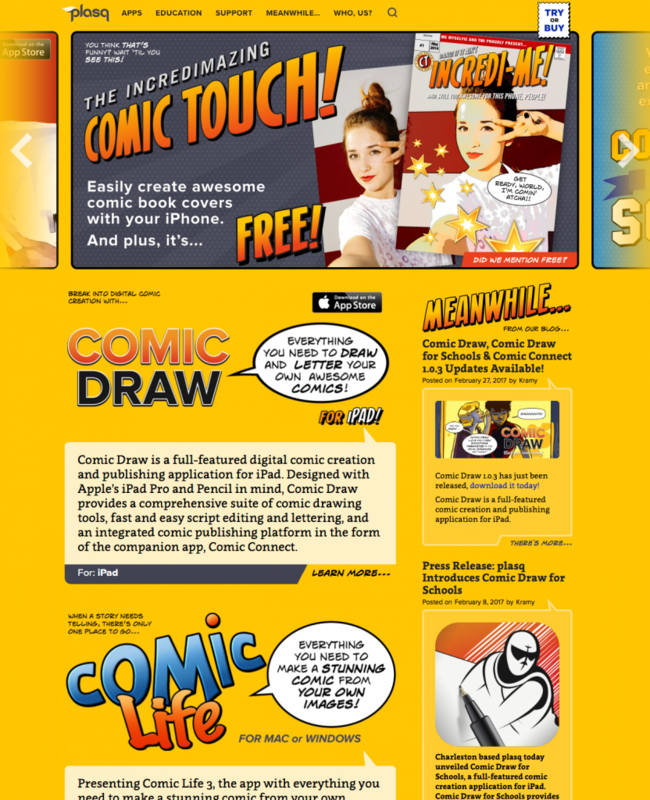 Clean, graphic, and fun: those were the watchwords focusing every corner of the site. 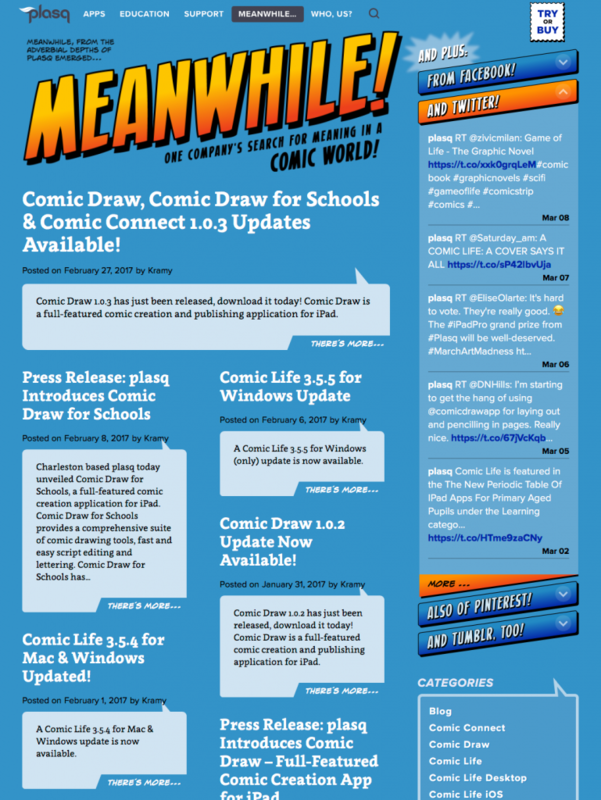 Then, as a finishing touch, I stocked the site with easter-egg bits of copy to reward exploration. 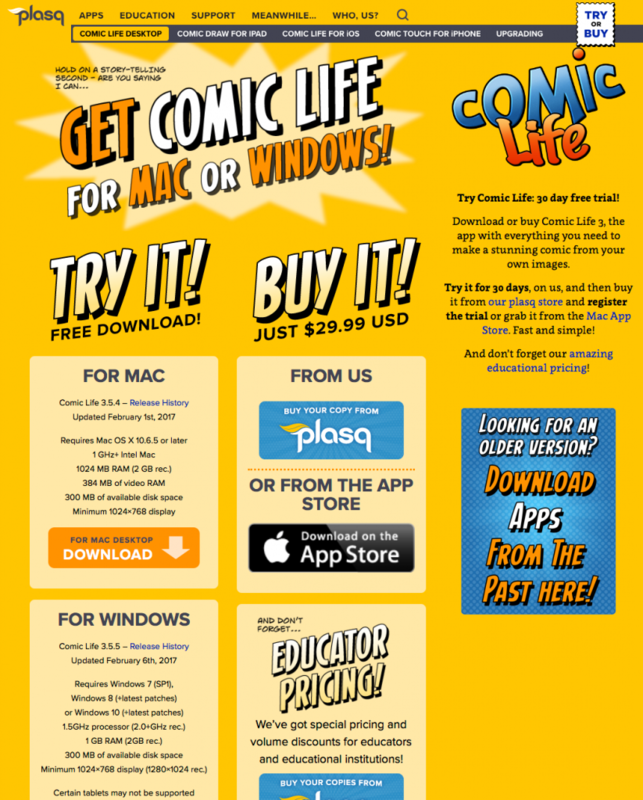 Overall, it’s a user experience as fun and uncomplicated as the products plasq creates.